This unique and lyrical film inspires us to see older women in a new light. The film documents an art performance created by nationally recognized artist, Suzanne Lacy. 154 older women dressed in white gather at a beach in Southern California. There framed by the sky, the ocean and the sand they talk simply and honestly about their lives, their relationships and their futures. 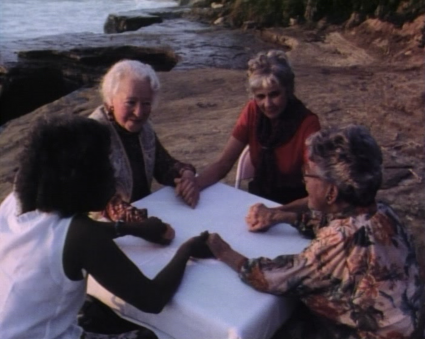 The film’s imagery echoes and reinforces the strong spiritual and physical beauty of these older women.